PLAiTO's AI is a powerful AI built by extensive research in Learning Science, Artificial Intelligence and Educational Data Mining. It is powered by learning experiences and system interactions generated by more than hundred thousand students having spent time for more than 5.5 Million hours. PLAiTO's AI optimizes learning outcomes and contributes to learning science research owing to its several hundreds of experimental conditions. PLAiTO's AI is an amalgamation of different AI paradigms and algorithms like Deep Learning, Reinforcement Learning, Planning Algorithms, Machine Learning, Psychometrics (Item Response Theory) and much more. PLAiTO AI traces the knowledge of the student in each minute learning unit with each and every interaction in real time with the help of its best in class Knowledge Tracing models like Bayesian Knowledge Tracing and Deep Knowledge Tracing. PLAiTO uses a proprietary modified model of Bloom's Taxonomy. Student's learning path is defined by Aptitude, Long-Term Performance, Short-Term Performance, Concept/SC/SSC Completion and Proficiency, Learning Gaps Identified and Resolved and Speed. PLAiTO problems are created to allow identification of specific learning gaps in a concept and enable self-correction through different types of assistance. By encouraging learning through self-correction, PLAiTO helps remove and resolve permanently, any learning gaps in the concept. Granular Knowledge Graph – PLAiTO Pedagogy Model deconstructs every concept into granular units of learning. For example, the world of math is classified as per common standards into learning concepts and sub-concepts. 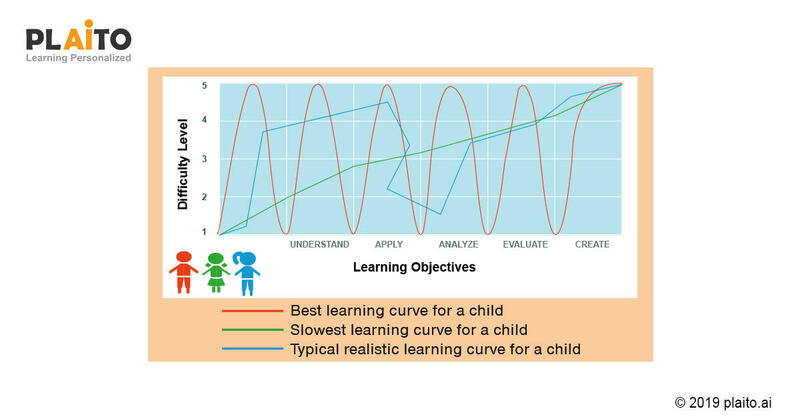 At the lowest level are atomic learning units which address a set of learning gaps. This granular decomposition enables PLAiTO to monitor learning gaps as a child explores each concept. What should I learn next? Based on their past performance in several concepts, platform's AI recommends most appropriate concepts for the learner. This way, the learner does not get lost in the plethora of learning activities and can work on a guided learning path designed according to their capabilities and needs. Heavily backed by Learning Science research, PLAiTO AI ensures that students gain deep conceptual understanding of the skills, rather than the shallow functional knowledge to solve the problems. The goal of PLAiTO AI is to impart robust learning to the student as defined by education scientist Kenneth Keodinger and his colleagues in the COGNITIVE SCIENCE – A Multidisciplinary Journal. Learning is said to be robust if persists for long term, can be transferred to the different and novel situations, and can prepare for and accelerate future learning. Normally this would be an advertisement yeah?